Click to read our Follow-up Report. This is a very limited look at SPOT 2, due to time constraints and the failure. As such, I’ll stick to the primary improvements and changes and how they will affect the user, and in keeping with our primary interests, my focus is on SPOT as a means of signaling distress, so I will not spend much time on the ancillary value-added capabilities, except as the relate to this function. Like many first tries, the original SPOT had a number of issues that quickly manifested themselves in real world use, creating problems for both users and SAR. SPOT certainly didn’t lack for criticism from which to garner ideas for improvements. As the second generation product evolved, I had the opportunity to provide my own candid input into the development process. To their credit, SPOT listened for the most part. First, as an aside, devices such as SPOT now have their own official acronym, “SEND,” standing for Satellite Emergency Notification Device. SENDs are satellite distress beacons other than COSPAS-SARSAT 406 MHz devices (PLBs, EPIRBs and ELTs). RTCM started up a new subcommittee, SC 128, that began meeting earlier this year and which is defining a standard for SENDs, similar to those that exist for PLBs. It is anticipated that this standard will eventually become part of the FCC regulations. The goal is to ensure that the device and the distress function is designed and produced to a minimum standard of performance, so that consumers and SAR can have more confidence in these devices. I am a member of SC 128 and SPOT has been participating since the first meeting. SC 128 is not dealing with the interface between the private call centers these devices rely upon, another problem area, and the SAR services. That issue is being dealt with by a new NSARC (National Search and Rescue Committee) Working Group that will hold its first meeting next month. I am pleased to have been invited to participate in that group as well. SPOT 2 has a large seal over the battery compartment that says “SERVICE REQUIRED” and provides the SPOT web site address. That hopefully clues in the new owner that they must pay for a subscription before they install the batteries and can use SPOT. I still don’t think the term “service” is all that clear; I’d prefer they were a bit more forthright about it, something like, “SUBSCRIPTION REQUIRED,” both there and on the packaging. The retail packaging does include text that “SPOT requires activation of a basic service plan prior to use,” but I’d be happier if that was in bold on the front of the package, not on the inside of a fold-out flap on the back. SPOT still has an official policy that without a paid-up subscription, they do not respond to a distress message. I am sure you trust computer databases as much as do I. As in the original, the GPS receiving and satellite transmitting antenna in SPOT 2 are one and the same. In the original, this antenna favored transmitting performance over the GPS reception, compromising the device’s GPS performance. Since that is the only locating means that SPOT has, there’s no Doppler back-up and 121.5 MHz homer as in a 406 MHz beacon, that proved to be a notable deficiency. 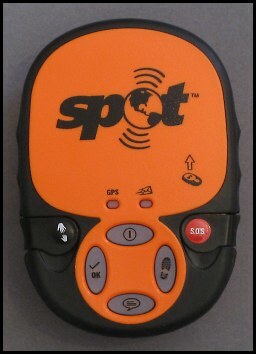 SPOT claims the new antenna in SPOT 2 is a breakthrough design which doesn’t compromise either GPS or transmissions. The new GPS chip is also a relatively current generation 50-channel design and inherently delivers much greater sensitivity and performance. The combination should make a big difference in the less than optimum GPS reception situations survivors too often find themselves dealing with. We weren’t able to thoroughly test the GPS performance in the few days we’ve had the device, that will take some time, but we did run it through some tests similar to what we did with the McMurdo Fast Find PLB. We were able to get an indication of a GPS location from inside my home, including the most difficult locations. In terms of GPS performance, it was far better than the original, which was unable to get a GPS location inside unless right by a window. The new GPS LED provides the user a very clear indication of GPS status, in contrast to the original. Blinking green is good, blinking red is bad. No questions. It is worth noting that SPOT transmits full GPS accuracy rather than the potentially degraded accuracy the 406 MHz beacons provide of +/- 4 seconds. Of course, without a GPS location, it’s a different story with SPOT. However, while SPOT does not inherently provide a true back-up for location like a PLB’s Doppler location and 121.5 MHz homer, SPOT does have the potential to at least get SAR into the area if Tracking is engaged. That’s a somewhat big if, in my opinion, but better than nothing. 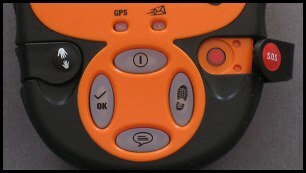 Assuming someone intends to use SPOT as their distress alerting device, they would do well to ensure tracking is always turned on (which must be done manually every 24 hours, something that has occasionally been forgotten by a user, with resulting issues for SAR). With regards to Tracking, SPOT 2 incorporates some valuable improvements over the original. Beyond the improved GPS that should better ensure you get a location to be tracked, SPOT 2 now sends both the current tracking location and the prior two locations with each transmission to the satellite. These changes are designed to accommodate the all too common situation, in our experience, where SPOT is unable to communicate with the satellite for a period of time, which led to many gaps in tracking with the original SPOT. We didn’t see any evidence in our brief initial testing that SPOT 2 is any better at getting the transmission to the satellite, we saw the same sorts of gaps develop in driving around with it positioned on the car’s dash as we do with the original SPOT. The big difference was that once it did successfully get through, the trail was much more complete than it would have been previously because of the built in redundant location transmissions. We would see the gaps develop with no location displayed for 20-30 minutes and then suddenly appear as it caught up in subsequent transmissions. The result is that it is more likely that the tracking will be useful in an emergency when no GPS location is provided, assuming Tracking was turned on. Without a homer, Tracking’s value to SAR in part depends on how the user is traveling. With a transmission every 10 minutes, on foot the potential area to search from a last known position is going to be a whole lot smaller than if traveling in a car, boat or especially an aircraft. On the other hand, when on foot you’re probably more likely to find yourself in a situation without a GPS location and more difficulty transmitting to the satellites over time. Either way, it doesn’t provide me a warm, fuzzy feeling, but it is an element to consider in deciding if SPOT is adequate for your purposes. The PLB standard and the draft SEND standard both require that the location of the GPS antenna be identified and instructions included to not obstruct the antenna and to orient it to the sky. On SPOT 2 there’s a small illustration of a SPOT device with an arrow pointing “up.” In my opinion, it isn’t big enough, but it’s better than what the original had, which was nothing. The logical spot (pardon the pun) to place a larger version of that is right where the SPOT logo is, but I expect the marketing and sales types couldn’t cope with that. On the other hand, I’m more interested in saving lives. There is also nothing to warn about blocking the GPS antenna, which I consider just as critical. The only argument is that unlike a PLB, a SPOT user may have prior experience using the device for the value-added functions and may be more familiar with how best to operate the device. That doesn’t, however, cope with a situation where a person totally unfamiliar with SPOT ends up using it for the first time in an emergency, which could occur for lots of reasons. 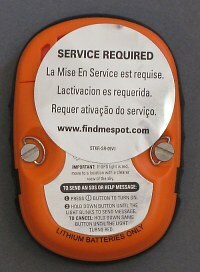 The interface with the original SPOT was hardly intuitive and created many problems for users and SAR alike. SPOT 2 has six separate buttons, one for on/off and for each mode of operation. They are illuminated with green or red LEDs to indicate their status, plus there are two additional LED status indicators. While not yet a model of intuitive design, it is a huge improvement over the original. The old “911″ button has morphed into “SOS,” a more internationally recognized symbol of distress. The SOS button is now covered to prevent inadvertent activation, which is very good and required on PLBs and in the draft SEND standard being worked by SC 128. Not so good is that you are unlikely to be able to lift the cover up while wearing even moderately thick gloves. You’ll either need to remove a glove or use a tool with a thin section, such as your knife or such, to lift the cover and possibly to press the small recessed button. This same applies to the HELP button, now showing a symbol of two hands reaching for each other, which is also protected in the same manner. As before, SOS goes direct to the GEOS call center, while HELP sends a message, which you can edit online, to your contacts. A spare set of covers is provided, in case one breaks off I suppose. I still have one quibble from a distress alerting perspective. You must turn SPOT 2 on before pressing SOS, which is not how I’d do it. If you need SOS, that should be the only button you need to press to signal distress. A placard on the back does tell the user to first turn on the unit and then to press SOS. There is also a caution to move the device to a location with a clear view of the sky if the GPS LED is red. SPOT includes versions of this placard in English, Spanish, French and Portuguese. On the downside, being on the back doesn’t exactly make it readily visible to the unfamiliar user, even more so if in its case and not viewable at all. The Check OK button is still there. SPOT 2 adds a Custom Message button, which is user configurable to whatever message your want, as is Check OK for that matter, and sent to separately defined contacts. SPOT now sends each of those messages three times at 5-minute intervals, which should make it more likely the message gets through. However, in our tests, conducted under not at all demanding circumstances, we occasionally found that the Check OK message did not go through. That’s a concern for me, as failure to receive an OK message can turn into a Search and Rescue mission very quickly when someone close to the user is worried that something is wrong. One minor aggravation in the online interface is you cannot copy contacts from one to another,or if it is there I missed it, each must be separately entered. Seems like they ought to be able to make that easier. Also, if you want to enter multiple numbers for any one Emergency Contact, the only way to do that is to enter the same contact with different numbers. Given you are only allowed two Emergency Contacts, this is a problem. They need to allow multiple contact numbers for each Emergency Contact, At a minimum this should include home, work, cell, and instant messaging. While SPOT 2 will send the SOS or Help messages even if it cannot get a GPS location, as before and updates with GPS is it later gets a location, it won’t send a Check OK or Custom message unless it has a GPS location, which doesn’t make much sense to me. While odds are that you more likely to get a GPS location, with the new GPS, than be unable to send out a message, stuff happens in the real world. Given the fact that failure to receive an OK message has already resulted in panicked calls that have sent SAR forces into the field, why make it any more difficult to get that message out? Moreover, the Custom Message may not even need a GPS to be relevant or useful. At least SPOT 2 makes it much clearer, via the LEDs, whether it has a GPS location and if the message has been sent. That allows/encourages a knowledgeable user to relocate to a better GPS receiving position, which will also most times give you a better transmitting location as well. So, using a somewhat perverse logic, if the user actually understands all this and what the flashing LEDs actually mean, it more likely assures the Check OK message gets through, sort of, kind of. I’m not buying that logic, however, because I know better than to assume the user actually understands how everything works. With the switch to three AAA-cell lithium batteries from AA-cells, as well as the additional LEDs and such, SPOT 2 has shorter operating times than the original. With fresh batteries, SPOT 2 will transmit an SOS for 2.8 days (approximately 810 messages at one every 5 minutes) at -22 F (-30 C). At the point that the red LED starts flashing. it has 100 messages worth of battery life remaining, or about 8.3 Hours of SOS transmissions remaining. In most situations on land, that’s more than adequate since you aren’t likely going anywhere, you should be waiting for rescue. On the water where you can drift a long ways very quickly and rescue can often take a while, that’s not so great. On a related note, neither the User’s Guide or the “Important Changes Regarding How SPOT Functions!” addendum have accurate information on battery life, other than messages remaining in the latter. 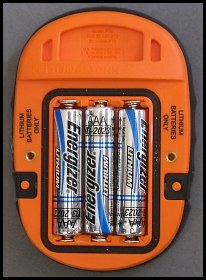 That represents a decided deficiency, in my opinion, especially considering that the limits impact how a user might use or manage battery life for possible use in distress alerting. SPOT say they are updating the User’s Guide, but seems to me they ought to not deliver units until that critical information is provided. At the least, they should include that information in the email message they already send you upon registering your SPOT. The original SPOT was buoyant and the specifications we were provided for SPOT 2 when introduced at Outdoor Retailer indicated it would also be buoyant. Somewhere between prototype and production things went awry and the production model does not float. Since I don’t consider buoyancy all that important for personal devices, that’s not a significant deficiency in my opinion. Buoyancy is a nice-to-have feature, but anyone using any personal distress signaling device in situations where it might be lost in the water should have it tethered to their person at all times, regardless. I would definitely suggest that marine users secure the SPOT 2 with some Velcro if they are just going to set it on the console, as seems to be common with the original SPOT. When we registered our SPOT, we got a message via email that included the following information: “In its carrying case, SPOT-2 will float until the carrying case becomes saturated with water, which will provide you with a limited time to retrieve SPOT from the water (as little a ~1 minute if using SPOT + case + armband). Whitewater conditions shorten the time until case saturation. SPOT highly recommends that you keep SPOT in its case and either attached to you or your gear.” So, there you go. I think a closed-cell neoprene pouch might be a better choice. SPOT 2 is rated as waterproof to 5 meters (16.4 ft.) for one hour, a five-fold improvement over the original. We submerged it briefly in a shallow bowl of water (2 inches worth) while attempting to determine how much buoyancy it lacked to be able to float and afterward it was dead. We checked to see if water leaked into the battery compartment, but it was dry. After a few hours the red LED in the Tracking button lit up, which isn’t even in the list of possible indications. That red LED eventually grew dimmer. When we subsequently picked it up, it was very warm. Removing the recalcitrant battery cover, the batteries were almost too hot to handle. Obviously, that failure ended our functional testing. The unit is heading back to SPOT as you read this. As noted earlier, now they tell me that the SPOT 2 we tested wasn’t a production unit as originally we were told, rather a hand-assembled pre-production unit. Like the original SPOT, SPOT 2 is made in China by Axonn who provide a 1-year limited warranty. SPOT does not warrant the device they sell, the warranty is from the manufacturer. Axonn’s warranty doesn’t cover warranty shipping costs either way and neither is the warranty extended if they replace or fix the problem. All currently available PLBs (or, at least those sold in the U.S.) come with a minimum 4-year warranty, most are 5-years or more. You can expect to lay out $150 for SPOT 2. A basic subscription, including SOS and the other messaging, is $99.99 per year. If you want tracking, add another $49.99. GEOS rescue cost insurance, to the tune of $100,000, costs $7.95 per year. If you upgrade from the original SPOT to SPOT 2, you don’t need to buy a new subscription, your existing one will work with the new SPOT 2. With only a couple days to play with SPOT 2, and given the failure we experienced and the questions about whether or not this was a production unit, there’s a limit to how far I’m willing to go with any conclusions. Still, it was pretty obvious that SPOT has a much better human interface, which should cut down some on false alerts, and the GPS clearly performs much better. On the other hand, the failure we experienced after a brief dunking in a shallow bowl of water does not give us a lot of confidence in the device. Was the unit they sent me really pre-production or not? I cannot tell as I sit here. Given all the emails I get about SPOT 2, I also wouldn’t feel right delaying publication of this report. So, take that for what it is worth. We’ll take another look at SPOT 2 once they have send me a replacement and I am, hopefully, convinced that the production units are actually waterproof. In the meantime, I cannot recommend this second generation SPOT. Even if we get past this hiccup, there are lots of other issues to consider before you decide on a SPOT. Click to read our Follow-up Report.email me your results. Initial Hands-on Report – Second Generation SPOT was written on November 3, 2009 and filed in Gear.